This evening I asked my boys Reuben (8) and Russell (4) to tell me what they wanted the Cube to build for them. Earlier today I had satisfied my engineering curiosity by trying to get the Cube to fail (see “Testing The Limits Of The Cube“). But then I didn’t spend all this money to conduct failure tests, right? I want to bring the joy of creation to my boys through the Cube and let them experience things I couldn’t as a child. Reuben decided that he wanted a toy ship. And to my surprise, Russell actually agreed with him. So before they changed their minds, I asked them to pick a ship from the many online 3D repositories. They picked this one. I downloaded the STL file, loaded it into the Cubify Client software and asked the Cube to print it for us. The Cube sits on my desk next to my laptop in my bedroom. When I told the boys that it was going to take a long time, they dragged a couple of chairs from the living room and placed them in front of the Cube. Their eyes lit up as they saw their toy come to life right before their very eyes, one layer at a time. And my eyes lit up seeing their eyes lit up. My wife dropped in to check on us every now and then to see what the fuss was all about. 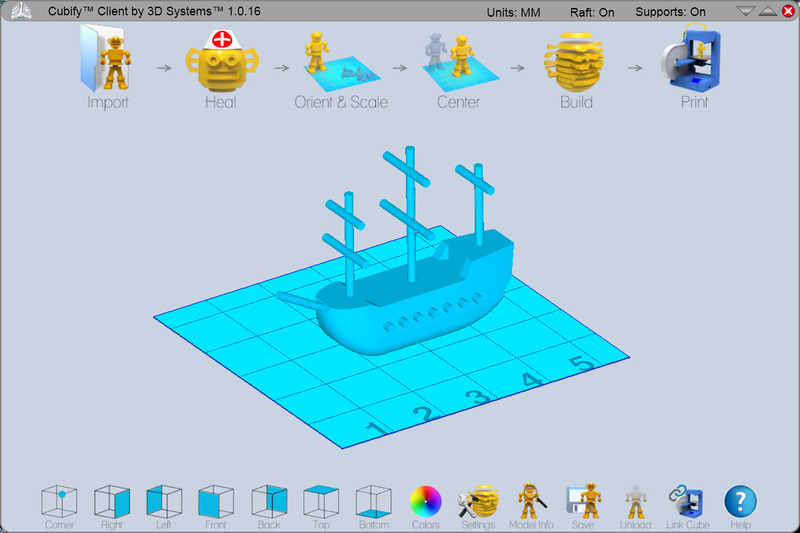 I had a tough time putting the kids to bed as the Cube hadn’t finished printing the toy ship. I promised them that their new toy ship would be waiting for them in the morning. I kind of choked a little when Russell walked up to the Cube, touched the cartridge and said “Thank you Cube. We love you. After you print the ship take some rest, OK?“, then turned around and went to bed. He’s a little angel. This is what my boys are going to wake up to tomorrow morning.